Regular WikiTrend readers know about the Internet of Things, the concept that everything in our homes will be connected to one another on a network that will work seamlessly with our lives. Many products already exist including "smart" smoke detectors that alert you by mobile phone when they are triggered or need new batteries, and smart refrigerators that automatically order more milk when you run low. Now comes the Lynx Concept Grill, a so-called smart grill that automatically cooks foods based on voice commands, and accesses the Internet to find out for itself the optimal cooking times for whatever you put on it. 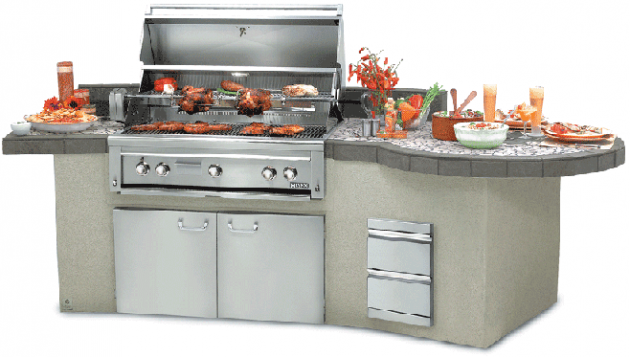 The grill will question its owner about what kind of food is being cooked, then tell the chef where on the grill to place each item to ensure the best result and that everything will be ready at the same time. Of course it is mobile-enabled as well, so the chef can be alerted via his or her mobile device when everything is ready. The Lynx Concept Grill, which debuted this week at the Consumer Electronics Show in Las Vegas, may or may not be a big seller. But it is certainly on-trend as a harbinger of the connected items that are slowly but surely taking over our homes.